With a total length of more than 8 km, the Barwa Commercial Avenue is one of the largest shopping malls existing. Thomas Emde, as the artistic director, was responsible for both the lighting design of the façade as well as the lighting concept of the outdoor area. 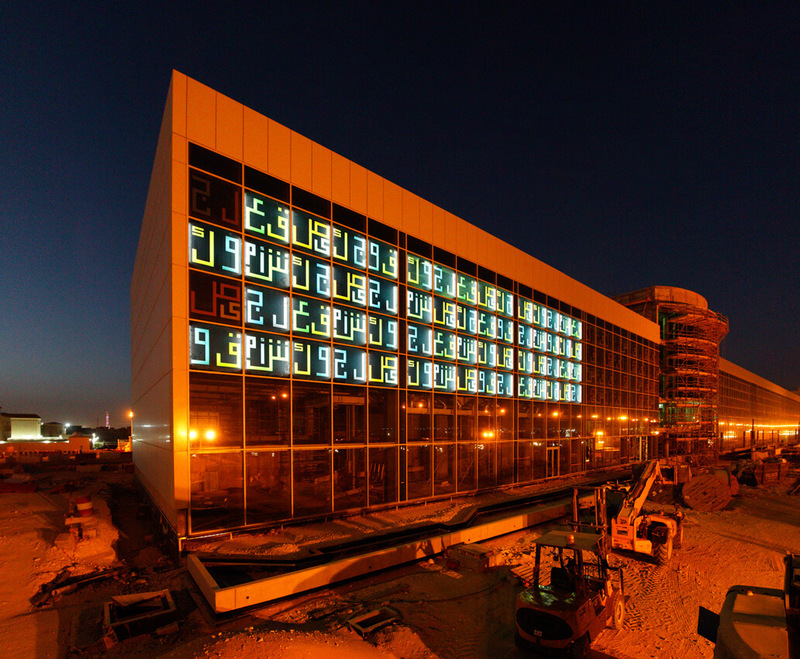 More than 5,500 1×1-meter-large emdelight glass panes were built into the glass façade. 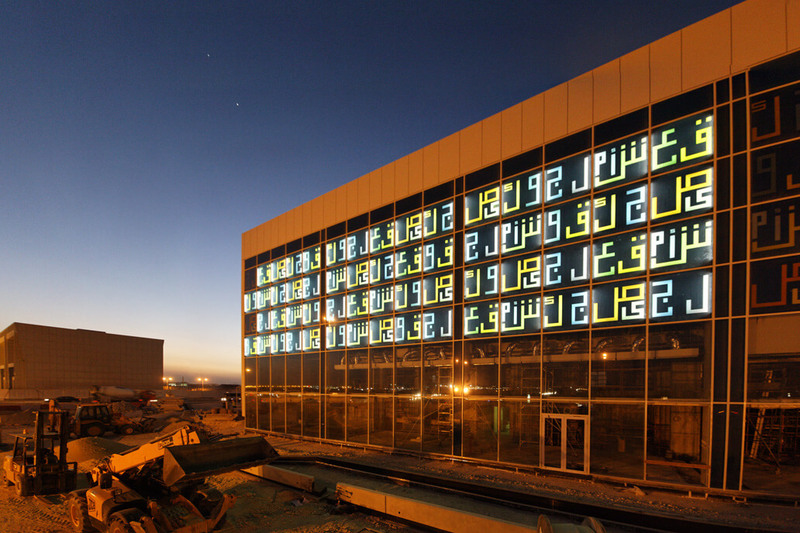 The glass is decorated with stylized Arabic characters which, at night, exude ever-changing colors. 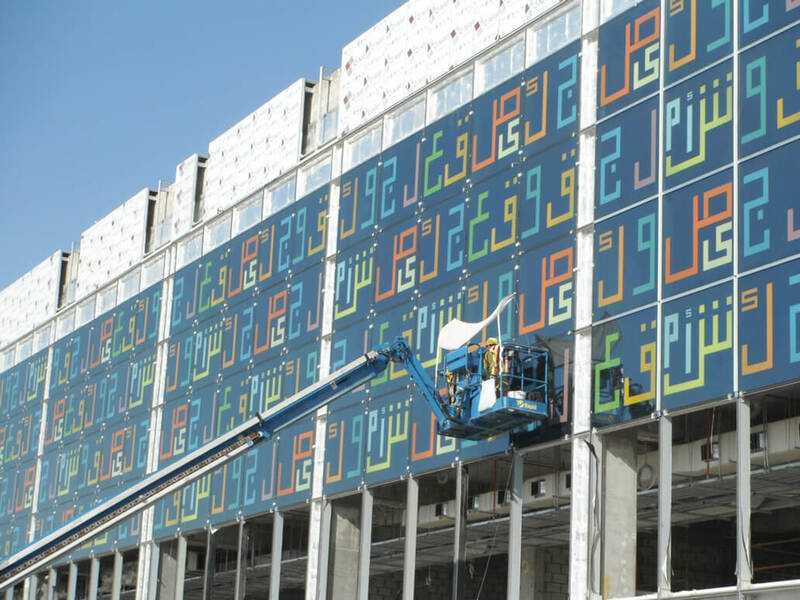 The silkscreened Arabic font on the façade also remains visible during the day.